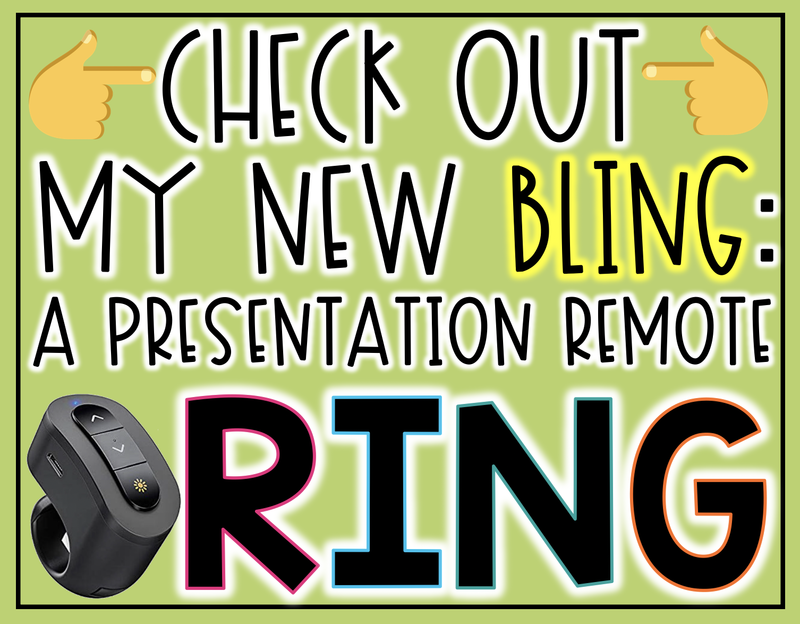 My New Bling: A Presentation Remote RING! | The Techie Teacher® . Let me tell ya, I have owned my fair share of presentation remotes in my lifetime. One day I discovered I could use my phone as a remote and used that for quite awhile. I really did love using my phone and even wrote the blog post: How to Use Your Phone as a Presentation Remote. 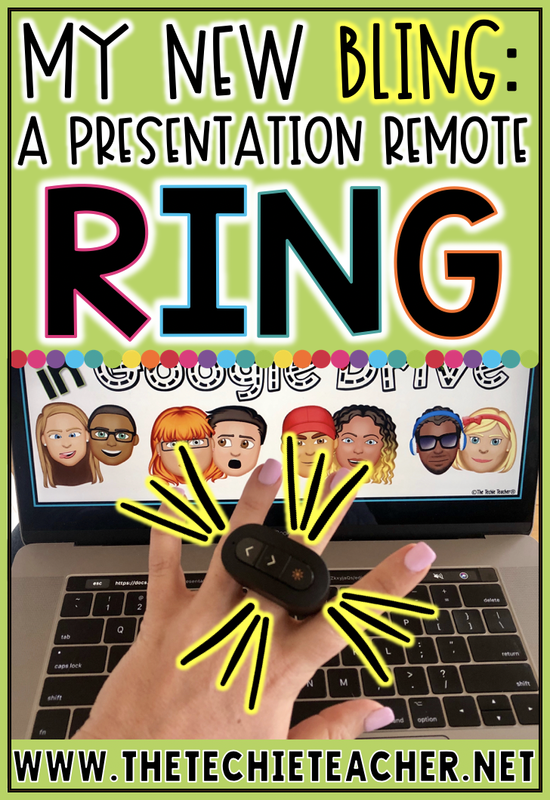 It is a presentation remote RING that I WEAR and can't set down! I shared this gif on both my Facebook and Instagram pages and received a ton of questions so I thought I would compile everything in this blog post. When I purchased this remote and at the time of writing this post it was $15.99. 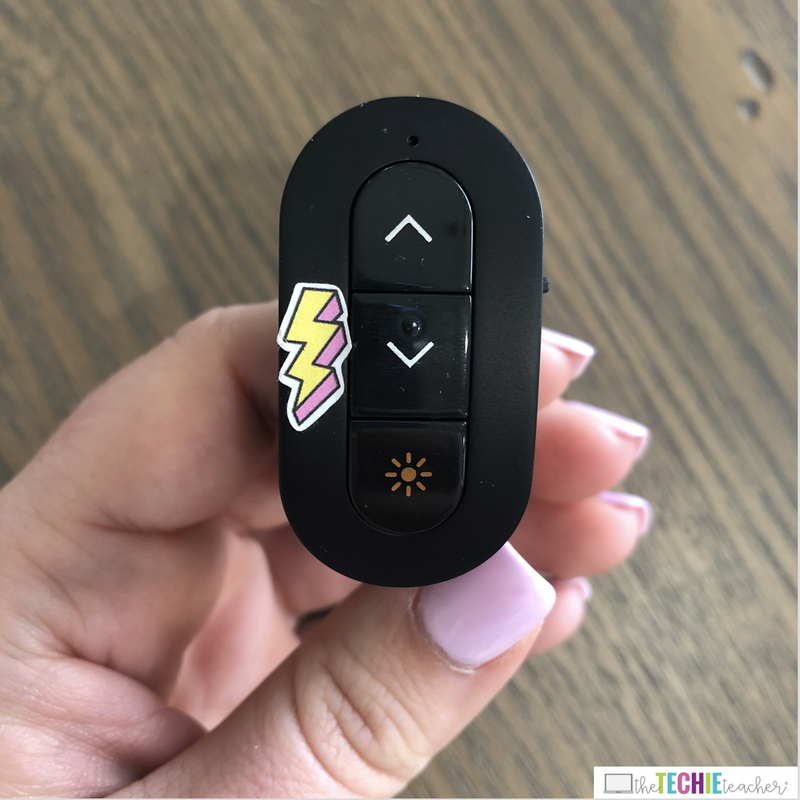 Within an hour of sharing it on my Instastories, Lesa Johnson (@MrsJohnsonZPS) discovered that it was on lightning deal for $11.99...YAHOO! Unfortunately that deal has ended but maybe it will happen again one day soon. 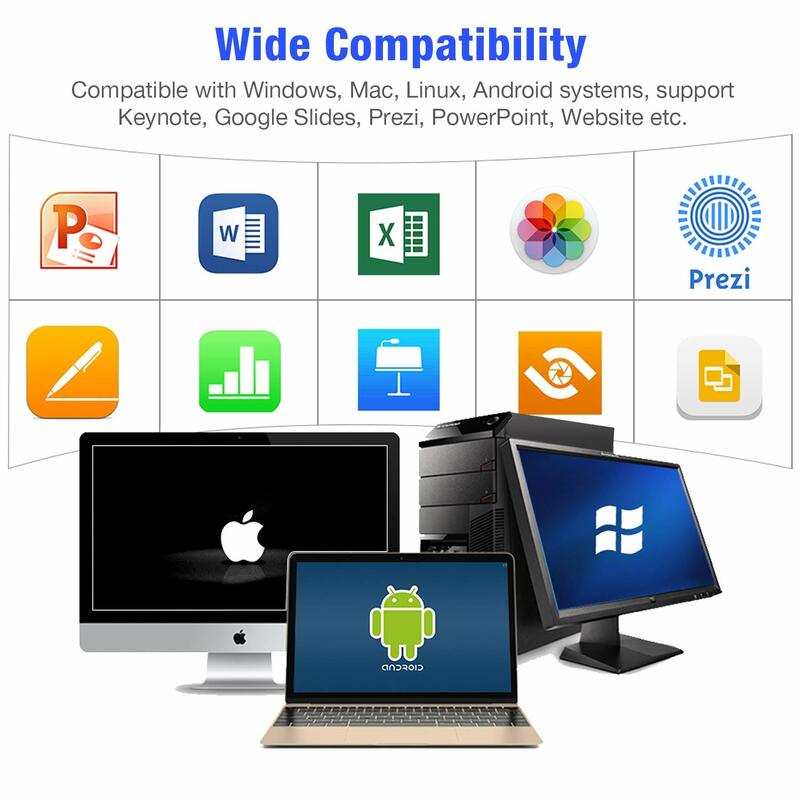 This remote works with a wide range of devices and programs (see image below). 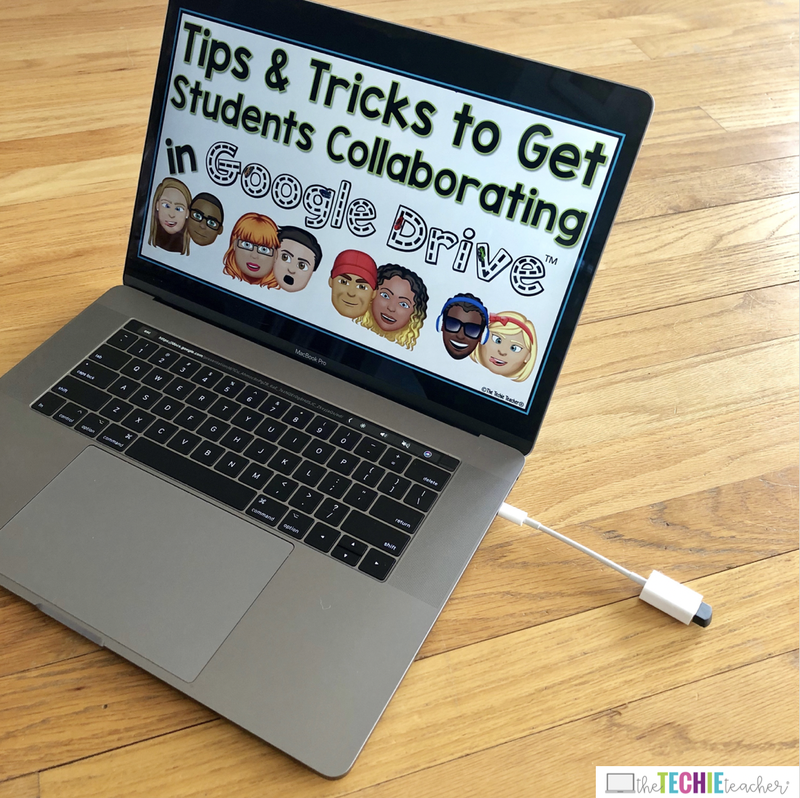 I have used it with both Google Slides, PowerPoint and Nearpod on my Mac laptop and Chromebook...worked beautifully! Please don't laugh at me. For some reason I can't for the life of me remember which arrow advances forward and which one moves backward. Therefore, I added a small sticker next to the forward advancing button. 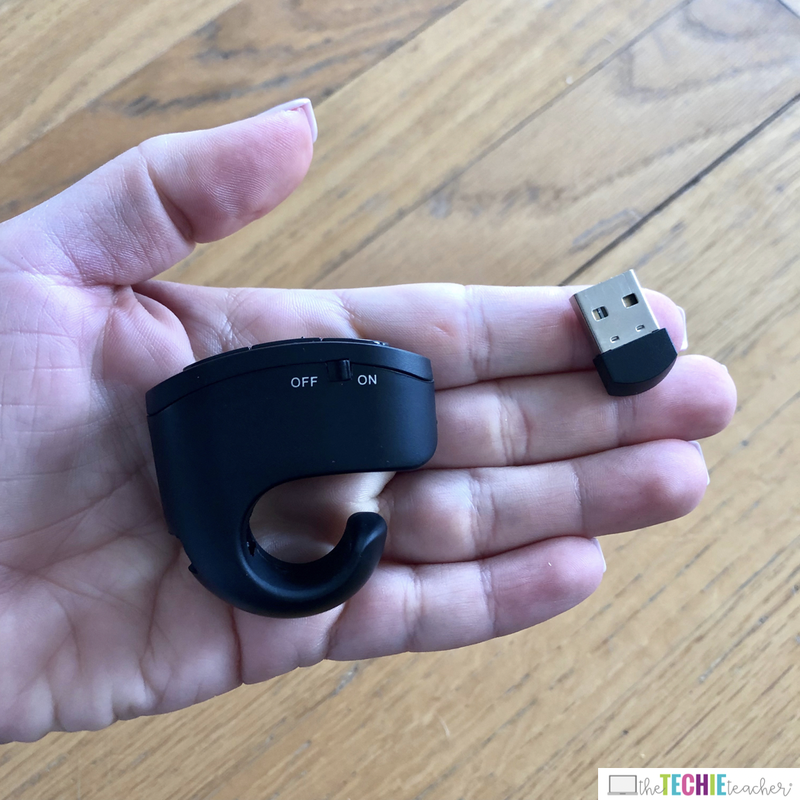 First, charge the ring using the USB cable that comes with your purchase (charging time is about 1 hour). The listing claims that it will work for 7 days (I have yet to test this...). Plug the small USB chip into your computer and switch the ring to ON . As soon as I launched my presentation I was controlling everything from my ring. It really was super easy. Someone asked me if it works with SmartNotebook files or Promethean flipcharts. Unfortunately I don't know the answer to this question since I don't have that software installed on my computer. I'm thinking "no" since it isn't in the Amazon description but I could be wrong! If you test it out and find an answer, please let us know in the comments below! I don't think it will work with Smart Notebook. The other remotes will not, so I'm guessing this will not, either. I wish it did! !